Basingstoke is significant town in the UK, due to a number of key factors. As well as itself being a major employment hub to people, its location and infrastructure makes it the ideal location for commuters heading into London and other major nearby cities. Basingstoke was an old market town that expended significantly in the mid 1960’s as a result of an agreement between London County Council. Basingstoke has since become an important economic centre due to its business and industrial parks being the home to a number of major international businesses. The main industries include IT, telecommunications, insurance and electronics. This has allowed Thirsty Work grow to become the leading supplier of water coolers and water dispensers for businesses in the Basingstoke area. For over twenty years’ we have been supplying businesses in the UK with their water coolers and dispensers. We have grown to become one of largest local water cooler suppliers, offering a full range of bottled and mains fed water coolers, hot water dispensers, and more. 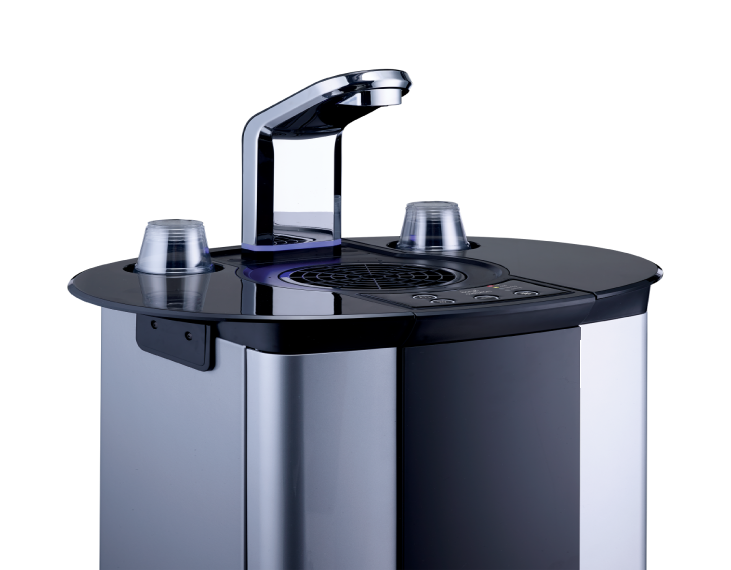 We are approved by the British Water Cooler Association (BWCA). This gives you the reassurance that our bottling, installation and maintenance procedures are carried out to the highest hygiene and quality standards. If you would like to find out more, about what Thirsty Work can do for your business then, have a look through our website or contact one of our water experts, who will be able to help you out. We offer businesses a range of bottled water coolers, mains fed water coolers and hot water dispensers. 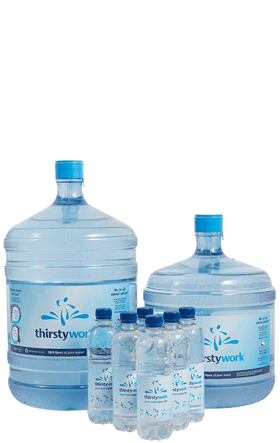 Thirsty Works water dispensers and water coolers come in a range of free-standing or countertop models. With a range of designs, our water dispensers are designed to suit every workplace. 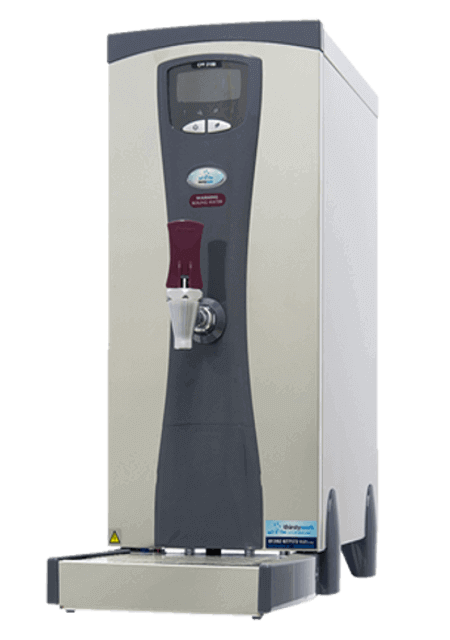 We offer businesses a range of dispensers, which can provide endless cold water, with additional hot and sparkling options available to. 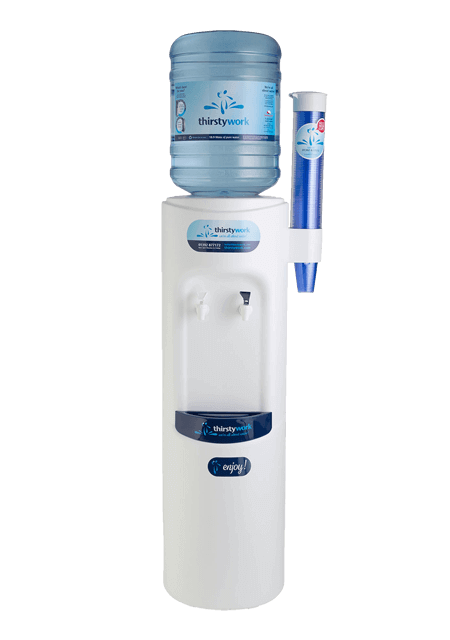 So, if you're looking for an office water cooler or dispenser which will provide the highest quality of refreshing water for your workplace, then Thirsty Work have got what you are looking for. Find the right dispenser for your office by looking at our range, or contact us directly for expert advice. Whether it’s a bottled water cooler or mains fed water dispenser, our installation process and servicing packages have been designed to give you total peace of mind. Every Thirsty Work dispenser is delivered and installed by a fully qualified engineer. Our maintenance packages included in the rental of the unit include, twice yearly servicing, filter changes, all parts, and any deliveries or call outs. Our servicing packages will mean you have nothing to worry about when you choose Thirsty Work as your office water dispenser service provider. Talk to our team of water experts, to find out what is covered with our service package. 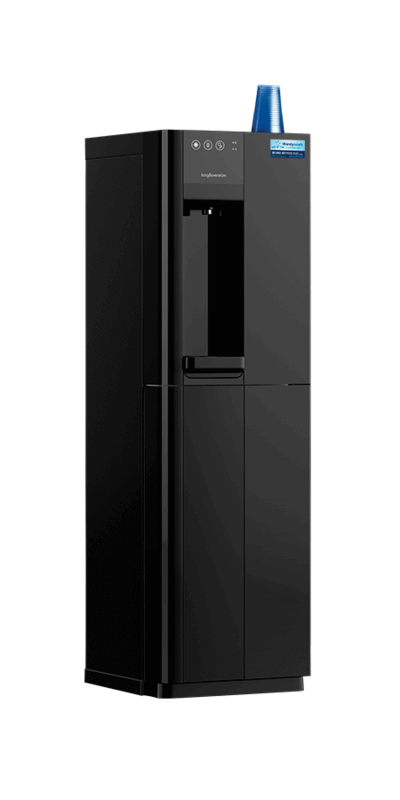 Our team of water experts, work with you to select a dispenser that fits perfectly for your office size, requirements and employee needs. Our dedicated customer service, sales and engineering team are here to answer any of your queries, and ensure your experience with Thirsty Work is a great one. So give us a call, speak to us on live chat or send us an email, and we will be happy to help you out. Get a quote, and find out more information from our water experts.